KATHMANDU, Aug 28: The government has got off to a good start in terms of revenue mobilization as it came close to meeting its revenue target for the first month of Fiscal Year 2018/19. According to data of the Ministry of Finance, the government collected a total of Rs 62.97 billion in revenue in the first month (mid-July to mid-August) of the current fiscal year, compared to the target of Rs 63.64 billion. The revenue collection, however, Rs 670 million short of the revenue target for the month. Finance ministry officials say that low transactions due to monsoon as well as slow development expenditure lead to low revenue collection toward custom duty and value added tax in the first two months of any fiscal year. Revenue collection in the first month of FY2018/19 is 37 percent higher than the corresponding period a year ago. 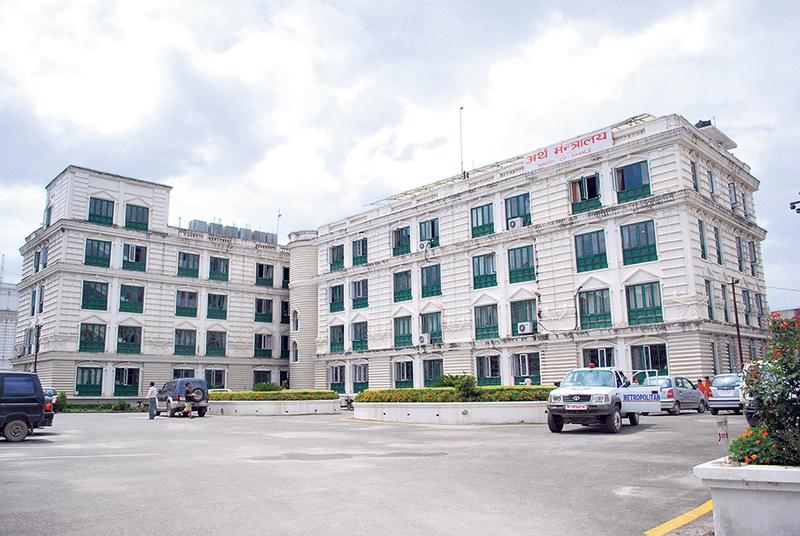 “Revenue growth rate is higher compared to data of the first month of the past fiscal year, and higher than the average annual growth rate of 35 percent,” Revenue Secretary Shishir Dhungana said. “Revenue mobilization, despite being slightly lower than the target, is still significant and encouraging. We are positive and confident that we will achieve the target in the coming months,” he added. According to the ministry, revenue collection from customs duty, VAT and excise duty headings has remained slightly below the target. The data shows that the government collected Rs 21.14 billion in VAT, Rs 12.2 billion in customs duty and Rs 8.63 billion in excise duty in the first month of FY2018/19. However, the collection of Rs 13.2 billion in income tax is higher than the target. Toward non-tax income, the government collected Rs 4.28 billion, while other tax collection stood at Rs 5.7 billion. Many sources of non-tax revenue like land and house registration has been handed over to the local governments from the current fiscal year. With the government setting ‘optimistic’ revenue target for the current fiscal year, the finance ministry has intensified efforts to plug revenue leakage while also cracking down on tax evasion. Through the budget speech, the government increased its revenue target for the current fiscal year by 35 percent. For example, Finance Minister started tightening the reference pricing of imported goods at customs points as part of his efforts to curb under-invoicing despite opposition from the private sector. The government collected a total of Rs 730 billion in revenue in the last fiscal year, up by Rs 2 billion from compared to the target. Some also attribute the decision of the ministry to raise some tax rates and expand the tax net for revenue growth. The government has restructured tax collecting entities and redefined the threshold of large taxpayers to those doing an annual transaction of Rs 800 million or above to make the existing Large Taxpayers Office (LTO) lean and thin. The changes are made to provide special service and care for large taxpayers and also halve the number of large taxpayers, which currently stands at 1,200, according to government officials. there are still leakages in customs, VAT and excise duty, according to an official at the ministry. Smuggling of goods in border areas is still going unabated, causing revenue leakage, the official added.